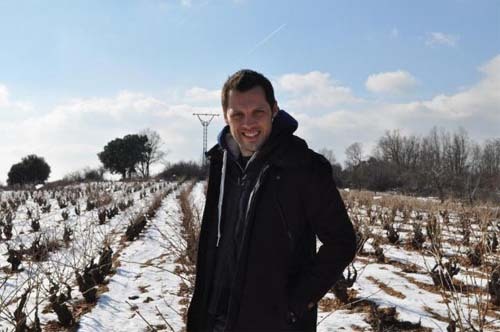 Born and raised in Burgundy, Olivier Riviere, learned from the very best, while working at world famous Domaine Leroy. Upon arrival in Spain, he started to look for interesting vineyards, where he - using his Burgundy winemaking skills - could produce a style of Rioja that had never been seen before. In a sense, you could argue that Olivier Riviere invented post-modernism in this esteemed area. There are three wines made in the Arlanza appellation, but the majority of bottlings are born and raised in Rioja. 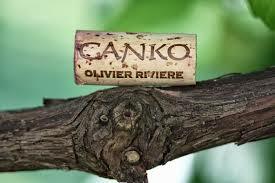 Oliviers clever approach to winemaking, which is basically very much hands-off, means that his naked wines speak loudly from the vineyards in where they were grown. Top selections are sourced from very old vines in Rioja Alta and Alavesa, while Baja fruit are partially used for his entry-level wines. Olivier Riviere is a firm believer in traditionalism. His interpretation include small batch fermentation and bottling of each vineyard separately when possible, using low levels of sulphur, as he prefers his wines "naked". That said, concentration is grand in all wines, thanks to well manicured, organically farmed vineyards and low yields. As natural as it's basically possible. Natural fermentation, sometimes without temperate control, and always doing the Pigeage by hand, according to his Burgundy upbringing. As Tempranillo does not possess loads of tannins, Olivier uses up to 50% stems during fermentation, which leads to wines with grippy tannins. Oak is neutral and doesn't disturb his vineyard-driven produce. 50% Tempranillo and 50% Garnacha are folded together in this post-modernist Rioja version. High praise from around the globe are well deserved here, and lovers of individual wines will find a new favourite! Stem-infused tannins, great purity and juice acidy are hallmarks in this special wine. We’re immensely proud to introduce this wine to restaurants, but in a way even more proud that Systembolaget has embraced it as well. WHERE: Rioja and Arlanza appellations in north eastern Spain. WHAT: Red wines, mainly produced from the Tempranillo grape variety, but various amounts of Garnacha and Mazuelo are included in some cubes as well. HOW: Traditional winemaking including whole clusters, Pigeage by hand and aging in neutral oak barrels.